Stay hydrated to beat the heat! Summer is in full swing and our part of the country is very hot. When the temperature rises, proper hydration is extra important. You need to provide your body with the fluid that it needs to stay healthy. 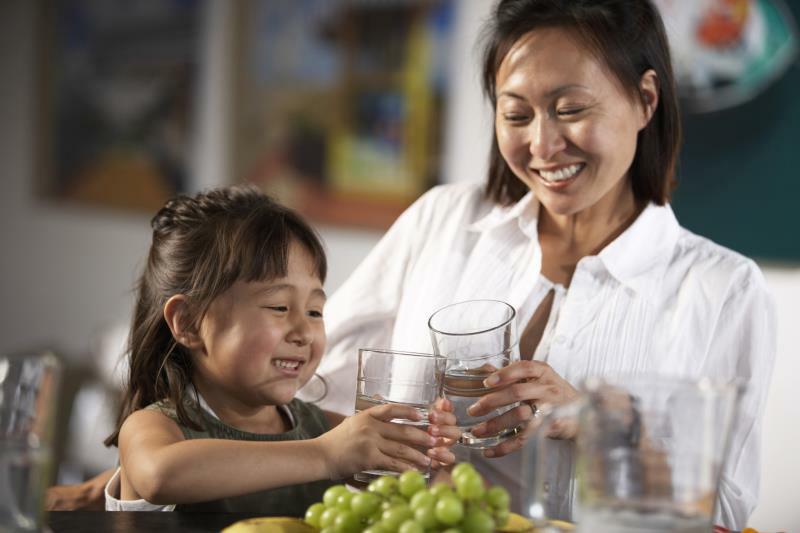 Water regulates many different body processes, including body temperature, digestion, and heart rate. It also cushions and protects our internal organs and joints. When we do not get enough of it, our bodies can suffer. We lose water from our bodies every time we breathe, sweat, or urinate. In fact, it’s estimated that you can lose up to 4 cups of water during an hour of exercise in the heat. This water loss can lead to dehydration. Ultimately, dehydration can lead to extreme thirst, confusion, heat stroke, loss of consciousness, and death. So, how can you manage staying hydrated in the heat of summer? One of the key answers is not to wait until you are thirsty. Drink water regularly! Food can also provide some of the water you need every day- especially food like watermelon, soup, milk, lettuce, and strawberries. Sugar-sweetened sports drinks or beverages with added minerals, vitamins, or electrolytes are NOT necessary unless you are a competitive athlete or in heavy training for an athletic event. If you do not like the taste of plain water, try adding a slice of lemon, lime, or another type of fruit to your drink. When you are feeling hungry, drink water. Thirst is often confused with hunger. True hunger will not be satisfied by drinking water. Drink water when you go to a restaurant. It will keep you hydrated, and it is free! Be safe this summer and stay hydrated, so you will enjoy your outdoor time. Also, remind you family and friends to drink water too. You will all feel better and have more fun!